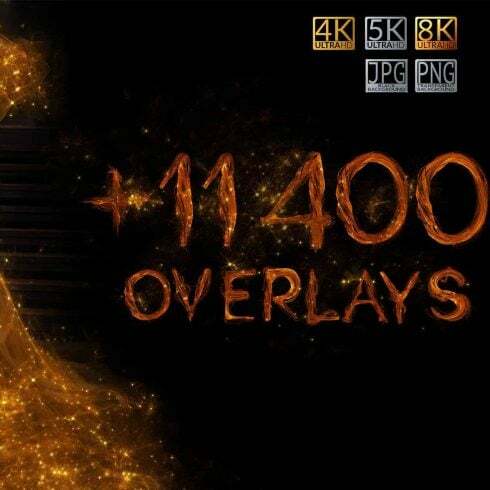 GET THE LARGEST 4K OVERLAYS BUNDLE EVER. 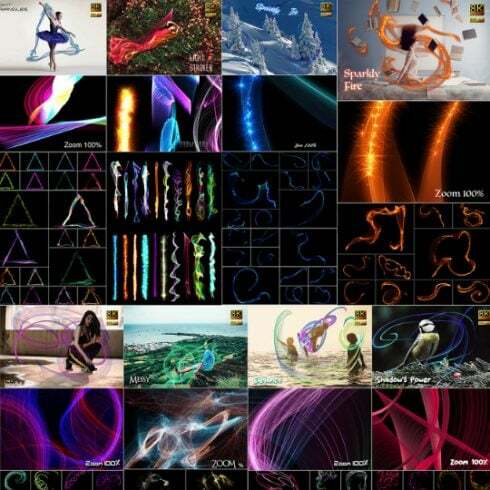 This bundle includes 11493 overlays from 236 categories. Browse through these resources and make the most memorable combinations. You can find petals, lights, bees, pixie dust, hearts, watercolor, magic, glitches and damaged images, technologic effect and so much more. This is the greatest bundle ever created where you will find everything all you need and more. Transform each photo into a work of art by adding elements that will make the difference. All these actions can be used for both personal and commercial purposes, for yourself or on behalf of a client, or as part of your new design for sale. You can create unlimited digital and printed designs. Cannot be resold, shared, transferred or otherwise redistributed on its own. You cannot share these resources with others. This pack comes with the extended license included so you have everything at your disposal to make your designs the best. The bundle made in collaboration with ArtPlanet, artSH and UtopianCorner. Just about every pro designer, as a skilled professional, surely can sketch anything from scratch. Only it would require a lot of time and won’t deliver adequate revenue for him. That’s the reason the vast majority of designers use pre-made visual components – combine these graphic components, customize them and create the design . It is actually ineffective to purchase those parts as a stand alone, that’s exactly why they are put into graphic bundles and marketed as a singular solution. The advantages of graphic deals for designers are usually quite obvious. However if you are new to them and now have concerns, the following info will be of great help for you. Along with a large number of the elements within a single package, the collection provides you with an opportunity to use several of them for many different projects. What’s more, the price is typically cut down tremendously which lets you stretch your budget, yet get the complete set worth hundreds or thousands of dollars. The assortments of components compiled into a graphics bundle are usually categorized in accordance with their purpose and kind. There will probably be packages with business card templates, mockups, wedding invitation templates, infographics and icons, etc. You will likely manage to find graphic bundles specifically for St. Valentine’s Day, NA, St. Valentine’s Day, or St. Valentine’s Day. You can make the MasterBundles.com products even more affordable. I do know bundles are already affordable, but there is still place for saving. Share this page via social websites – you automatically receive the 5% price reduction for every of the graphic deals you prefer. That’s a quite simple way of getting a professionally created tools cheaper. MasterBundles.com could offer you a big selection of unique products. MasterBundles.com markets not only graphics packages but also approximately 20 other different types of products and solutions. Fonts, WordPress themes, mockups, icons, photos, illustrations, presentation templates and a whole lot more – on the MasterBundles.com you will be able to locate all the graphic elements, required for a design project creation. Yet another package well suited for photo designers as well is assigned to photo bundle deals. Here on MasterBundles you’ll discover a bulk of products for picture retouching. If you want PS actions, Lightroom presets, photo overlays, or other resources for dealing with pictures, you’ve come to the best place. MasterBundles is a website that gathers top rated offers from around the internet and allows you to buy the elements you’ll need in your business for a lower price. Bundle deals this excellent website sells are limited in time, and that’s the answer why they are so low-priced. MasterBundles also has a great blog with the unique design features detailed.